If you wish to experience something truly surprising – try glass stairs, floors, railings, and see the sky through a glass roof on glass beams! 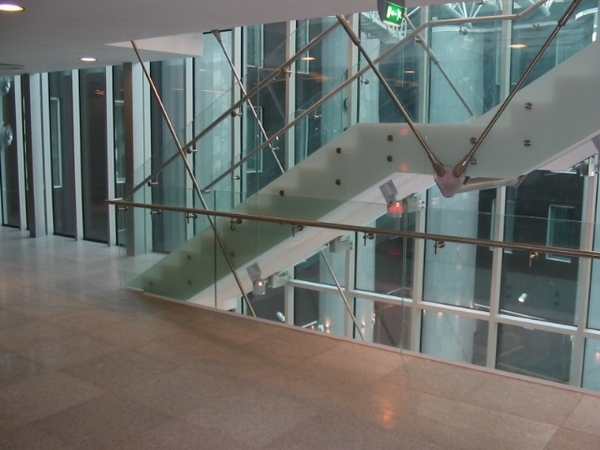 People, who are not used to glass stairs, initially step on a glass staircase warily. But soon they will discover that the base is solid and safe, giving them the feeling of standing in the air – a feeling that may be compared to flying. Glass staircases are very unique elements of interior design, which are well suited to both modern interiors and between ancient limestone walls. The playing field for executing one’s vision is wide: one can choose between various glass types and colours. Glass railings are gaining more and more popularity. The latest thing in the design of private houses is glass terrace wall. Glass walls enable one to enjoy the beauty of the garden even on chilly and windy days, and, if desired, the wall can also be folded to open the terrace to the sun and breeze. 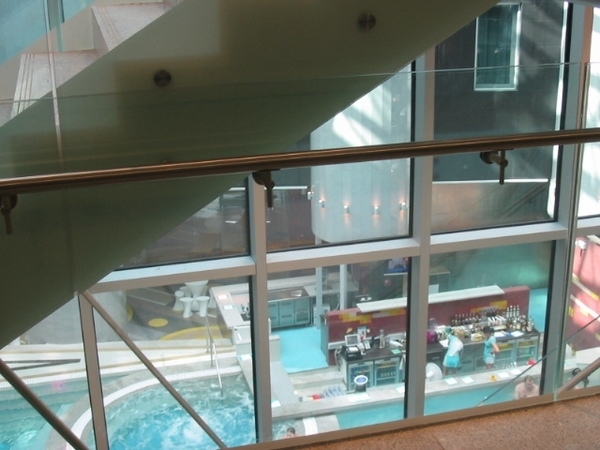 The solutions of Eesti Klaas can be seen, for example, at the Tallink Spa Hotel, where the balcony railings and banisters, the rails of the outdoor pool, and the walls of the information desk, are made of glass. Glass floors or stairs that are critical in terms of cleanliness make the room optically bigger but become faded by walking on them with outdoor footwear. "Glass stairs are not suitable for places where there is heavy foot traffic, " explained Marek Perendi, the sales manager of AS Klaasmerk that deals with the processing and installation of glass. Stepping back and forth, especially with outdoor footwear, scratches the glass staircase and turns it matt. Thus, he recommends glass for indoor staircases in homes.